Titan XPE : Embedded computer and multimedia solution. 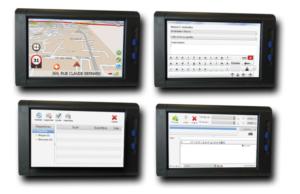 Titan XPE compatible with touch screens is the most suited solution to the vehicles you need to track while maintaining contact with the driver, thanks to the integrated features. Titan XPE is perfectly adapted to our product, the Atlas-M500. Light and heavy vehicle navigation.